It’s a Wrap: 111 Angels Sponsored! 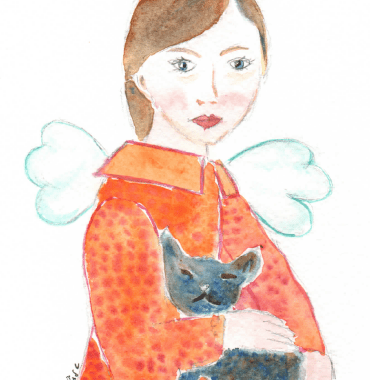 Special Thanks to Yvelise Pestourie who created the beautiful angel artwork above in support of our 2018 Angel sponsorship drive. A1 Orange created thank-you coasters for all angel sponsors using this artwork. Every year the need seems to be greater, and every year our friends and business partners jump in to support The Salvation Army Angel Tree program with us. This year, our goal was to sponsor 100 Angels from the Orlando, Jacksonville, and Tampa areas. When all was said and done, 111 Angels were sponsored as part of our drive. Thank you so much for your amazing support of this program which provides Christmas smiles to so many children. 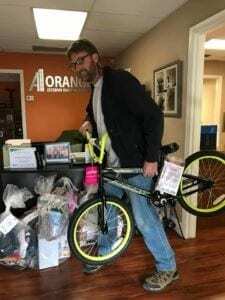 This year’s drive started in early October, when A1 Orange began publicizing the event on Facebook and via emails — with nearly 70 people stepping up to sponsor one or more angels. According to Brenda Dost, “This is a tradition continues to grow, with several long time donors who sponsor 1 or 2, and up to 4 angels each year, and adding sponsors mostly from the companies of business partners who spread the word in their offices.” Several property management companies had 8 -10 individuals sponsoring Angels! We expanded our program’s geographic reach, adding angels The Tampa Bay Area Salvation Army to the mix, in addition to Orlando and Jacksonville. 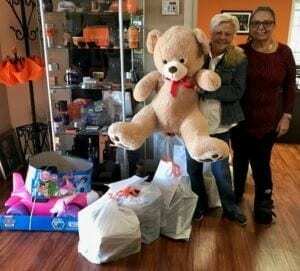 One company adopted an angel, and the entire office contributed clothing and gifts! The items arrived in a large decorated box filled to overflowing for a young boy Angel. 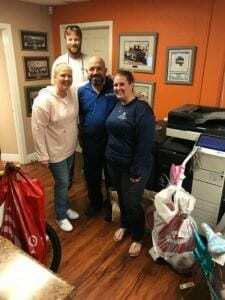 The Monday before Thanksgiving, we received an email asking if there were 8 more Angels available — and most of the sponsors were new to The Salvation Army Angel program! It takes a village to meet the needs of families in our area and we are honored that so many generous friends and business partners join us in this effort every year. As we share the holidays with our families and friends this Christmas season, we can enjoy the warmth of giving to others and knowing that children will be smiling on Christmas as a result of our efforts. Making Christmas Brighter for All Children! Supporting the Salvation Army at Christmas is an A1 Orange Tradition That Goes Back 60+ Years! This is the 13th year that A1 Orange has encouraged friends and business partners to participate in The Salvation Army’s Angel Tree program. Each Christmas season, The Salvation Army identifies deserving children, and then makes these “Angels” available for adoption through groups such as A1 Orange. Given the enthusiastic response last year and the ever increasing list of children, we’ve committed to 100 Angels from the Orlando, Jacksonville and Tampa areas, We’ve already got close to 70 Angels adopted – but we are looking for a few more donors! It’s not too early to think about holiday plans for your properties and team! 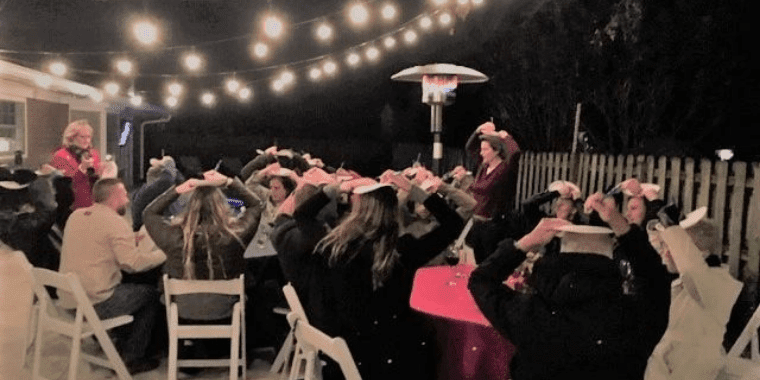 So we asked Melissa Hazlewood, a client with a lot of holiday spirit, to share some of her company’s traditions for celebrating the holiday at her properties, with her team and the community. Melissa believes in holding Christmas celebrations at her properties and with her staff, because “Christmas is a great time to visit with tenants and people she doesn’t see often — to reconnect.” She also believes that “Christmas is about doing for others, especially the less fortunate.” Over the years, The Salvation Army Angel Tree program has turned into a fun team project!